As we kick off 2019, we’re pleased to announce that ELTjam co-founder Nick Robinson will be a judge at the Pearson English Global Teacher Awards. Teachers are at the core of our profession. These awards highlight the hard work and dedication shown by teachers on a daily basis to help drive the industry forward. Entries are now closed but hundreds have taken the opportunity to share their passion for English language teaching. By sharing teachers’ stories with the international ELT community, the teacher awards aim to inspire educators all around the world, wherever they are in their career progression. 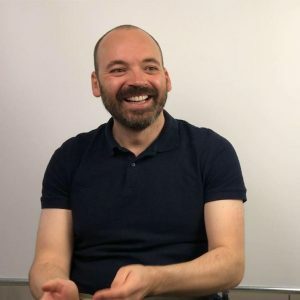 Nick has worked in ELT since the early 2000s, where he began as a teacher, trainer and materials writer – going on to work for English360 and Cambridge University Press, before co-founding ELTjam. We asked him to tell us more about the awards and to hear why they are so important to him. Nick says there is an odd stigma that’s attached to ELT. He explains that question would never be asked to other professionals. “No one would ever say that to a doctor or lawyer. It does a great disservice to the hundreds of thousands of English teachers who have made it their career – and who do an amazing job – changing and improving the lives of their students,” he says. “When it comes to judging criteria, I would say it’s not about whether you can follow a lesson plan to the letter, or if can you explain grammar paradigms perfectly. What I’m looking for is evidence of impact – that’s not only measured by exam results, but also by the impact your teaching has on your students’ lives,” he says. He will be joined by three other judges, each highly qualified and experienced in the ELT field. Freya Thomas Monk, who is the Senior Vice President of English & Schools at Pearson. Like Nick, she believes in the impact that brilliant teachers can have. On the Teaching Awards website, she explains that teachers have the power to transform people’s lives and that teachers can inspire millions of learners around the world to speak English proficiently – opening up a world of opportunities to them. Emily Gale is the BBC Editor of English content and is also very excited to be a judge. She can’t wait to review the entries and see how teachers around the world are using digital resources to support their students’ learning. Jeremy Harmer is an ELT author and has worked for Pearson for a number of years. He hopes to see teachers who show curiosity about the world and demonstrate that they care about their students. Pearson’s aim is to find teachers who show passion and dedication to teaching and are always working to better the lives of their students. The successful entrants will win an all-expenses-paid trip to IATEFL (UK) or TESOL (US). One winner will be selected from each of the following regions: Africa & the Middle East, South America, North & Central America, Europe & Central Asia, Asia & Oceania. Their names will be announced on 25th January, after Nick and his fellow judges have settled on the most inspiring teacher stories. You can find out more about last year’s winners on the Global Teacher Awards website. Are you looking to develop the skills you need to succeed in a changing industry? Find out how to future proof your teaching career by learning about changes and trends with ELTjam Academy.